I love lists! Where would my harried life be without them? After my run, I start each day with a list to make certain everything gets done. When I saw some folks doings "Million Year" lists, I thought it would be fun to come up with a few things for my own list. Ya know, sort of like a reverse bucket list. The idea is to list off things that have happened to you, but that you never imagined would have. Fun, right? 1. Win an international scrapbook design contest and get to go on a cruise. 2. Trip over a dead body on said cruise. 3. Scrapbook with a witch. 4. Celebrate Christmas somewhere other than my own home. And be okay with that. 5. Be approached for an autograph. 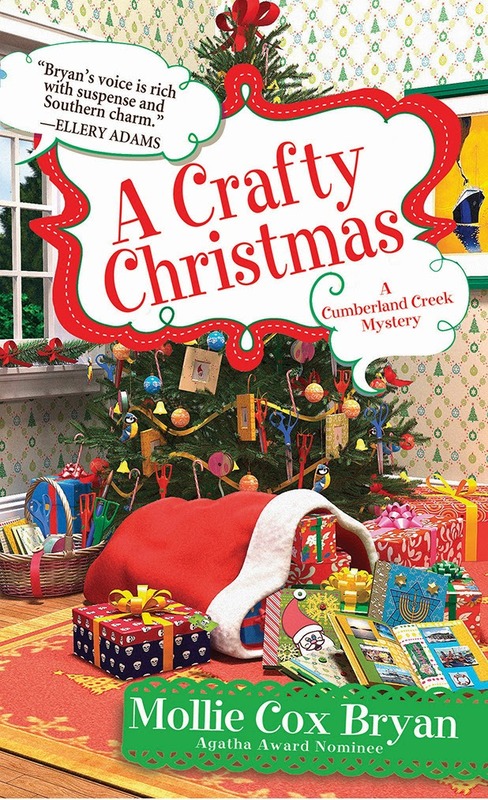 One lucky commenter will win a copy of A CRAFTY CHRISTMAS. I never thought I would present a workshop for teachers at a national convention. I never thought I would win a 7 day cruise. Or celebrate Christmas at a resort instead of my home. I would love to win this book! I'm a crafty person so I enjoy books about crafty people. thanks. I never thought I'd sell my quilted game boards at a craft fair, but I did! I never thought I'd be married 3 times. I never thought that I would ever leave my home town, and I certainly never thought that I would end up moving to 6 different states. Never thought I'd move to a small town. I did and I love it. Never thought I'd own 8 rescue cats. be "super" volunteer at my kids' school. have 4 beehives in the backyard. have a little free library in the front yard. Never thought I would marry for the first time at 63 to someone I hadn't talked to for 20 years. I never thought I'd be on the board of a genealogical society. See the time I could retire, but sure did. never thought I would miss being online sooo much!! I finally got my laptop fixed & I'm back!! I never thought I would find my one true love. On my list for many years but here he is. I never ever thought I would spend time in jail, pole dance, be mistaken for a movie star, win a prize for best memory, or consider murder. And so far I have done all but one of those things. Never thought I would go on a cruise or to Europe or move to California, but I did. Never thought I'd help get a law passed. Never thought I'd go to England four times, move house 23 times, get an M.A., or catalog Davy Crockett's Bible. My comment has been lost. Never thought I would go to England four times, get an M.A., move 23 times or catalog Davy Crockett's bible. Never thought I would take a tour of China or that I would have authors sending me copies of their books for reviews after retirement. I never thought I'd get to be surrounded by a packs of wolves while they were howling. We went to a wolf preserve this past summer. I never thought I would be employed at the same job for over 34 years but I am still working there. Here are two things I never expected. 1. I never thought I would have any of my cards published and I did. I like Christmas cozies. The cover is great.